My goal is to publish new posts twice a week — Mondays and Thursdays. However, if you don’t see a new post on Thursday, it’s because I was too busy, so please look for a new one the following Monday. Tune in next Tuesday for the results of the Original Miami Beach Antique Show. There will be no Monday blog because the show ends on Monday. I wish I could say set-up was uneventful, but unfortunately it wasn’t. A dealer in my aisle needed a chandelier hung when setup for the show was almost complete. To accomplish that, EXPO, the company responsible for everything physical at the show, decided to move their gigantic boom down our aisle. 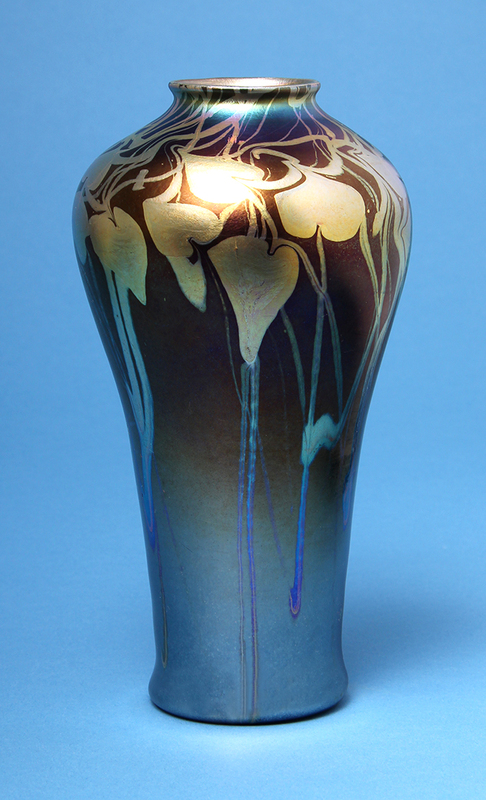 In the process, they hit my Tiffany glass case with their tire and broke a vase worth at least $2,500. It could have been much worse. What I don’t understand it why they would accommodate such a request so late in the set-up. They could have broken hundreds of thousands of dollars of merchandise in the attempt. Makes no sense to me. Now I have to deal with an insurance claim. Ugh!! I’m lucky my neighbor across the aisle recorded the entire event, so EXPO can’t deny they were the cause of the damage. To make things worse, the management did not turn on the air conditioning for the entire set-up. It was dreadfully hot and humid in the hall, with many people sweating bullets. I know this may fall on deaf ears to those experiencing -5°, but it wasn’t pleasant. The show opens today at noon and continues until Monday at 6 PM. I always look forward to it as one of the two best and most important shows of the year. I’ve got a lot riding on the results, so I’m going into the show with butterflies in my stomach. Wish me luck! 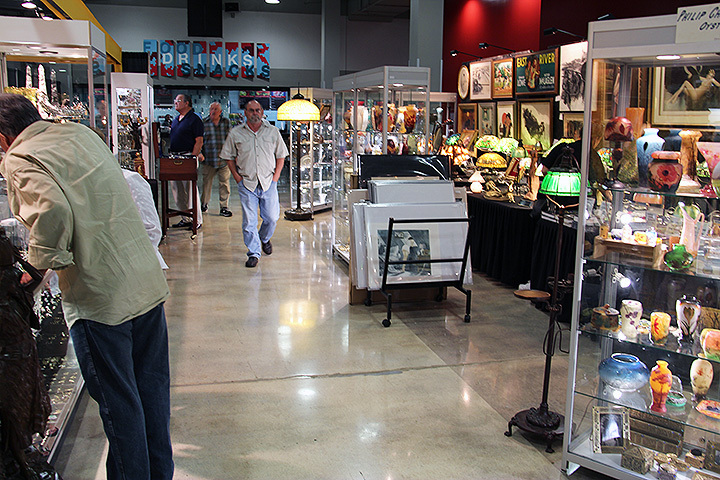 Next week we’ll check out the Naples Art, Antique and Jewelry Show after this show ends. If we like what we see, we’ll exhibit there next year. Then we’ll exhibit at the Palm Beach Jewelry, Art & Antique Show the following week, starting on February 15. We’ll end our southern swing with the wonderful Grove Park Inn Arts & Crafts Conference, February 21 – 23, 2014. We last exhibited there a few years ago and couldn’t exhibit again because of scheduling conflicts. This year there were no conflicts, so we’re happy to return. My goal is to publish new posts twice a week — Mondays and Thursdays. However, if you don’t see a new post on Thursday, it’s because I was too busy, so please look for a new one the following Monday. Tune in this Thursday for news from the Original Miami Beach Antique Show. It’s Saturday afternoon at 3:45 PM as I start to write this blog. Half the Miami National Antiques Show is over, with reasonably good results to this point, far exceeding last year’s results. Attendance was fairly good yesterday, with some real buyers in the crowd. Attendance today is much weaker, so boredom is setting in. I’ve got some clients considering major purchases, but I can’t take that to the bank. UPDATE: Sunday, 2:45 PM. Attendance is a little better today, but not sales. Made one sale early on Saturday, but none today. Some people arrived early to catch the last day of the Miami National Antiques Show before going on to the big Miami Beach show later this week. It looks like this show will finish with a whimper, not a bang, but it’s still been a good show. The de facto end to our show was Saturday at 1 PM, but there was no way to know that in advance. FINAL UPDATE: Sunday, 5:00 PM. WRONG! I’m happy to report that the show ended with a bang, not a whimper. We made three significant sales in the last two hours — a nice way to finish a show that was a bust last year. The excitement will begin this Tuesday, when we start setting up the Original Miami Beach Antique Show. 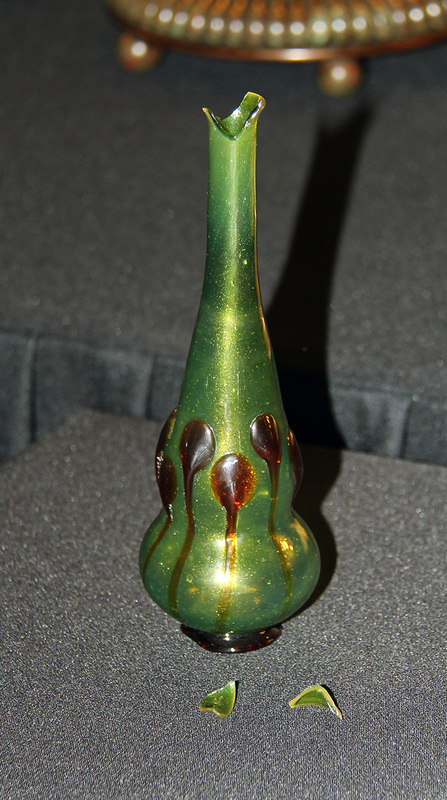 All the big shot collectors and dealers will be there, creating a totally different ambiance. The show opens to the public this Thursday at noon and will continue until Monday, at 6 PM. You still have time to make plans to come to Miami this week. According to the weather report, the daytime temperature will range from 67° to 82° for the next 10 days. Last I checked, the temperature was 26° in New York City, 19° in Detroit, and 5° in Minneapolis. This is a great time to visit Miami. 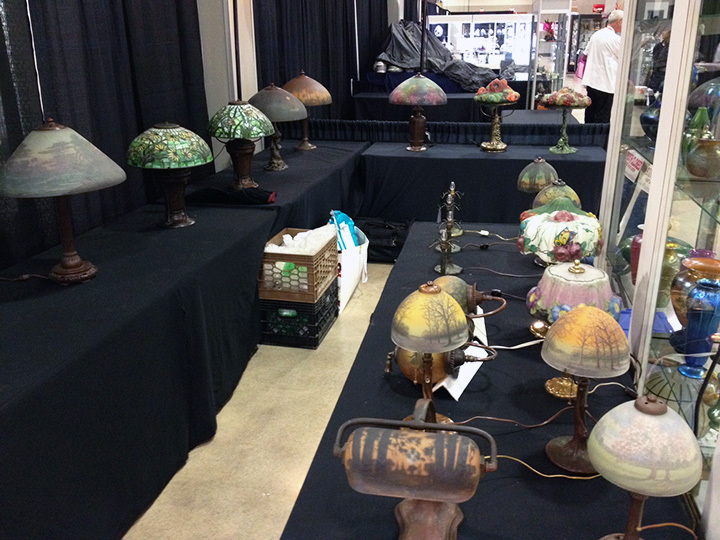 You’ll be able to see the best antique show of the year, enjoy the weather and eat at many great restaurants. 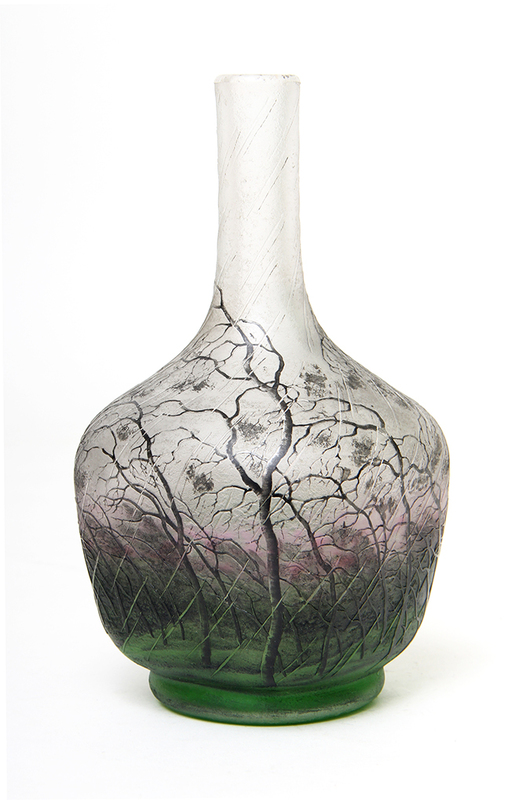 We’ll end our southern swing with the wonderful Grove Park Inn Arts & Crafts Conference, February 21 – 23, 2014. We last exhibited there a few years ago and couldn’t exhibit again because of scheduling conflicts. This year there were no conflicts, so we’re happy to return. It will immediately follow the important Palm Beach Antiques Show. My goal is to publish new posts twice a week — Mondays and Thursdays. However, if you don’t see a new post on Thursday, it’s because I was too busy, so please look for a new one the following Monday. 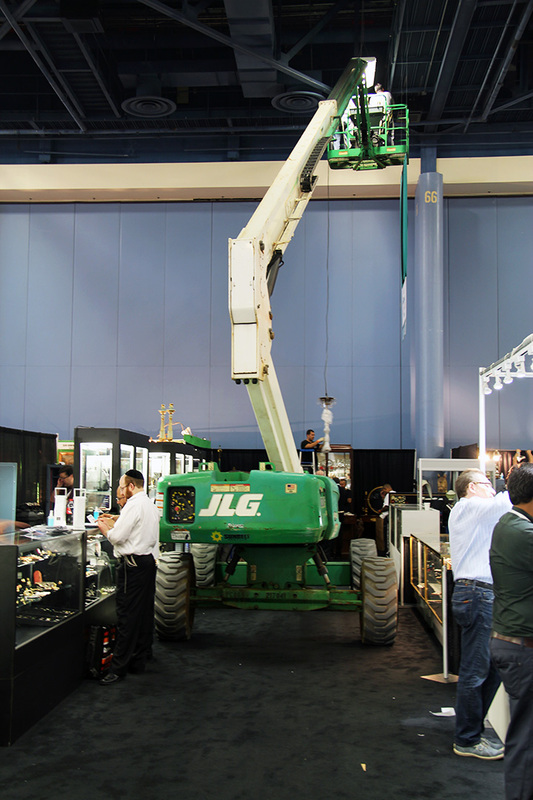 Tune in next Monday for the results of the Miami National Antiques Show. 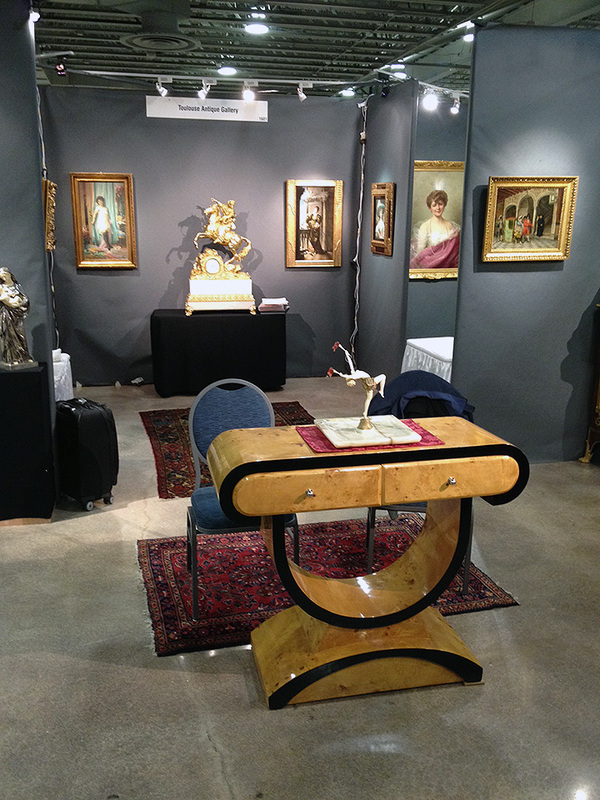 Yesterday was the first day of set-up at the Miami National Antiques Show. Set-up went smoothly, but there’s still a full day’s work left before the booth will be ready for the public. The show opens this Friday at noon and ends on Sunday at 5 PM. There are some very high quality dealers at the show, so the displays are top-notch. You can get first crack at this wonderful merchandise by visiting the show before next week’s Original Miami Beach Antiques Show. You still have time to make plans to come to Miami this week to see the Miami National Antiques Show and then the Original Miami Beach Antique Show the following week. According to the weather report, the daytime temperature will range from 66° to 80° for the next 10 days. Last I checked, the temperature was 7° in Long Island, 10° in Detroit, and 0° in Minneapolis. This is a great time to visit Miami. You’ll be able to see two great antique shows, enjoy the weather and eat at many great restaurants. My goal is to publish new posts twice a week — Mondays and Thursdays. However, if you don’t see a new post on Thursday, it’s because I was too busy, so please look for a new one the following Monday. This Thursday’s blog will be from Miami, after we’ve finished setting up the show. It’s hard to believe, but the Miami shows are about to begin. It seemed they were so far away and now they’re here. The Miami National Antiques Show is first, beginning this Friday, January 24th, at noon and continuing until Sunday, January 26th, at 5 PM. The show is located at the Doubletree Expo Centre, Miami Merchandise Mart, near the southwest corner of Miami International Airport. 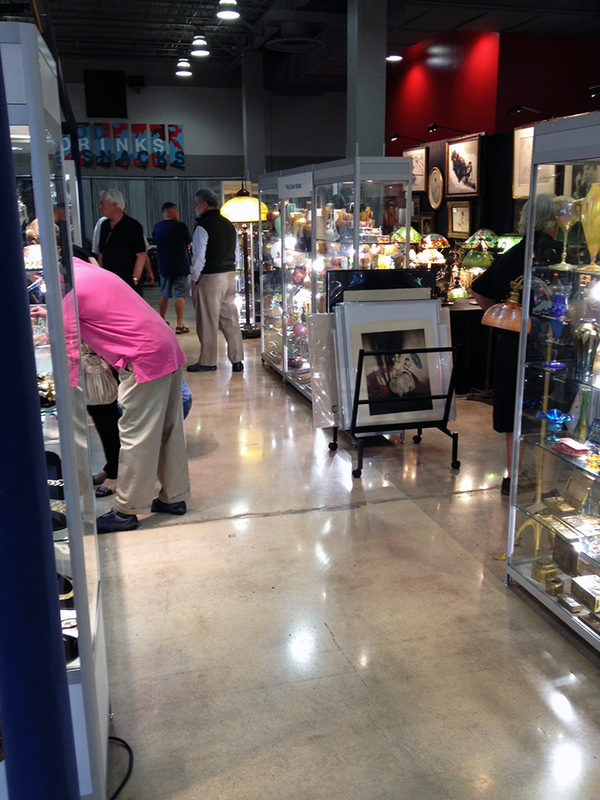 This is the warm-up show for the big Original Miami Beach Antique Show to be held the following week at the Miami Beach Convention Center. However, this year the show is under new management — U.S. 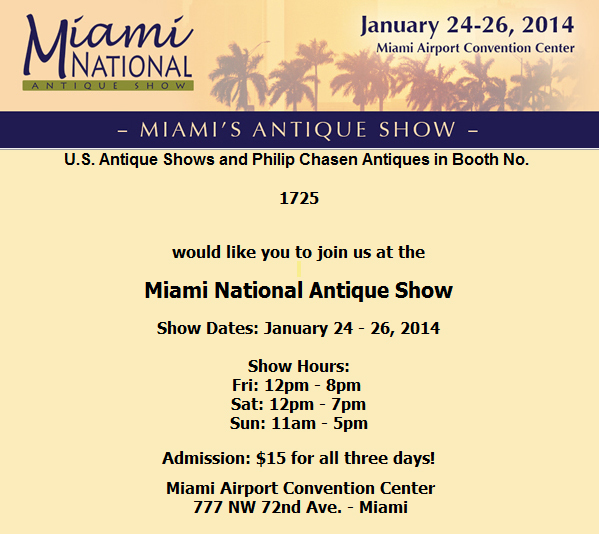 Antique Shows, the same management as next week’s Original Miami Beach Antique Show. New show promoters generally mean a show will be better because of increased advertising, new dealers and better attendance. Here’s hoping it will be true this time. We’ve been buying for the last several weeks, with great success. 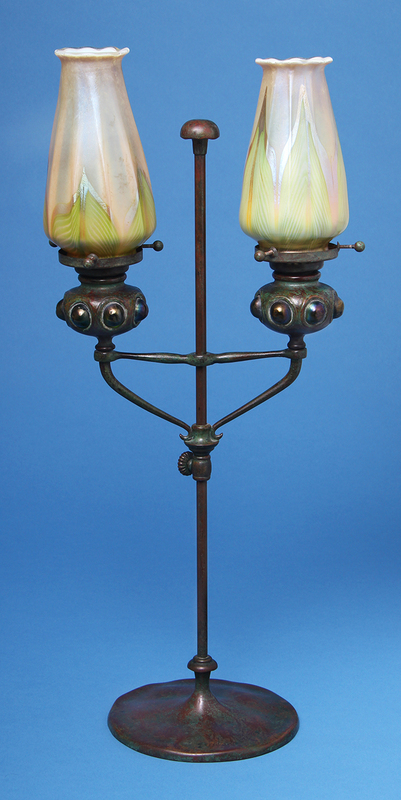 We’re bringing wonderful Tiffany Studios glass, lamps and candlesticks we’ve purchased from fantastic private collections. 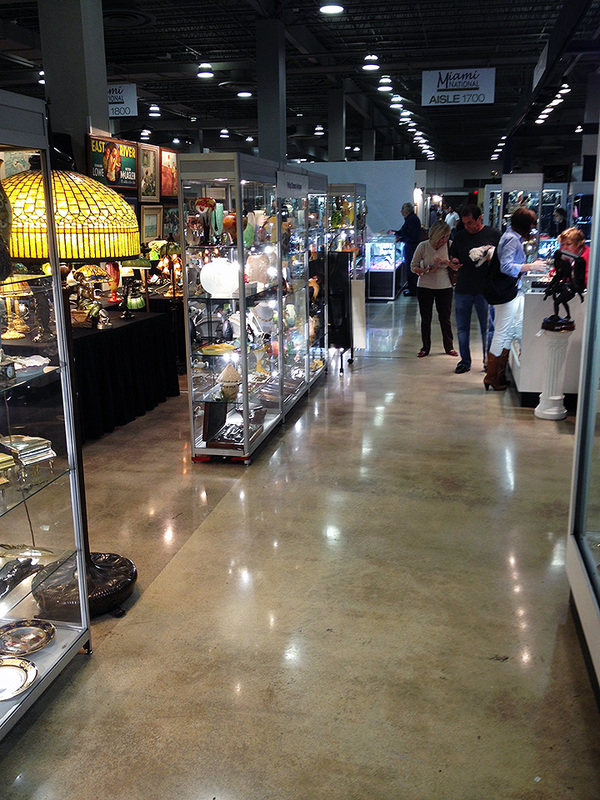 We’ll have it all on display at our four shows down south, starting with the Miami National Antiques Show. You still have time to make plans to come to Miami early to see the Miami National Antiques Show and then the Original Miami Beach Antique Show the following week. According to the weather report, the temperature will be in the 60s and 70s every day for the next 10 days. With another polar vortex coming to the center of the country and moving east, this is a great time to visit Miami. You’ll be able to see two great antique shows, enjoy the weather and eat at many great restaurants. Sotheby’s worldwide auctions of art and jewelry totaled $1.02 billion in 10 days in November, 2013. Records were broken repeatedly, including for individual items and total sales. Sotheby’s Magnificent Jewels sale realized $200 million, the highest total for any jewelry auction ever. 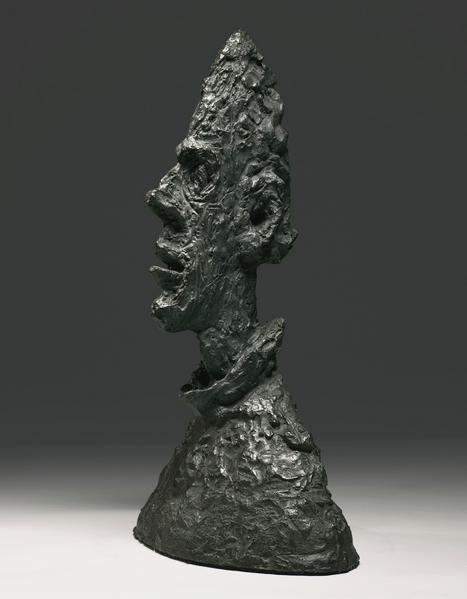 Top lot of the Impressionist & Modern Art Evening Sales on November 6th was #15, a bronze sculpture by Alberto Giacometti entitled Grande Tête Mince (Grand Tête de Diego). 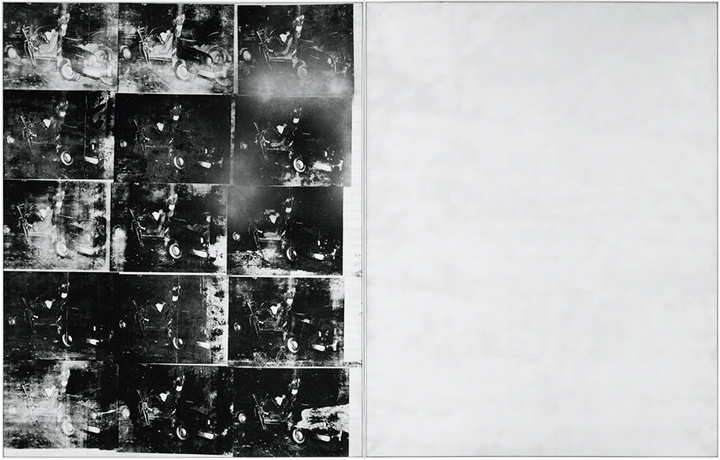 Estimated to sell for $30,000,000 – $50,000,000, it realized $50,005,000 — near the high estimate. 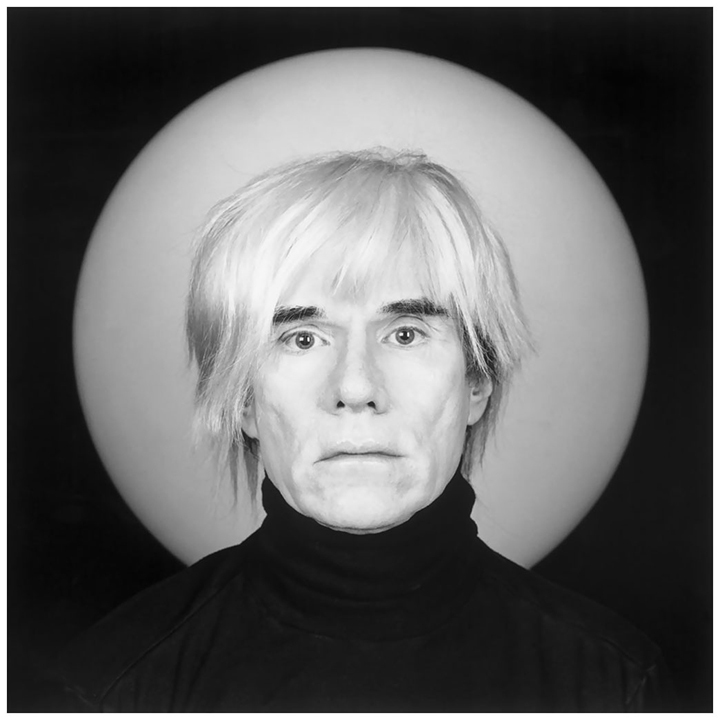 Andy Warhol was a regular at the Triple Pier Show in NYC before his death in 1987 at age 58. I saw him many times, but never talking to anyone. He never came into my booth. I wish I had taken a photograph of him, but it didn’t even cross my mind at the time. I didn’t know he would become such a big deal. We’ve been buying for the last several weeks, with great success. 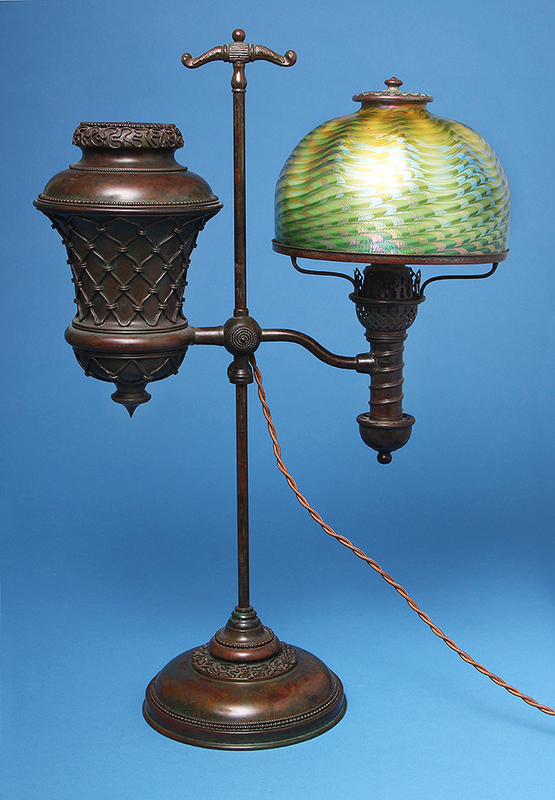 You won’t believe all the wonderful Tiffany Studios glass, lamps and candlesticks we’ve purchased from fantastic private collections. 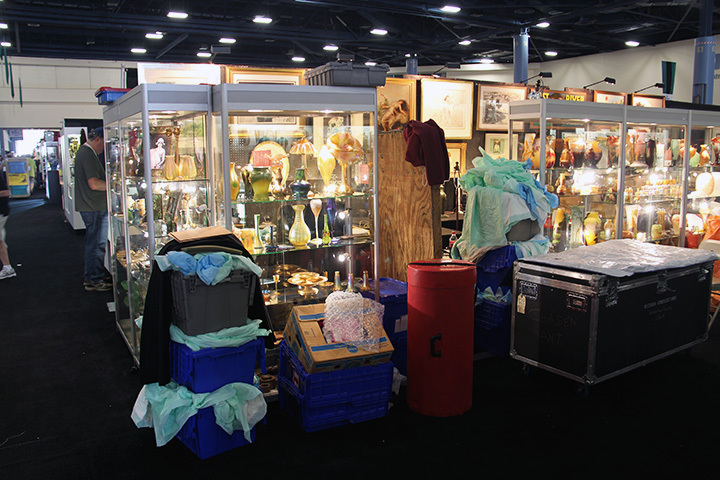 We’ll have it all on display at our four shows down south, starting with the Miami National Antiques Show on January 24, 2014, less than two weeks away. 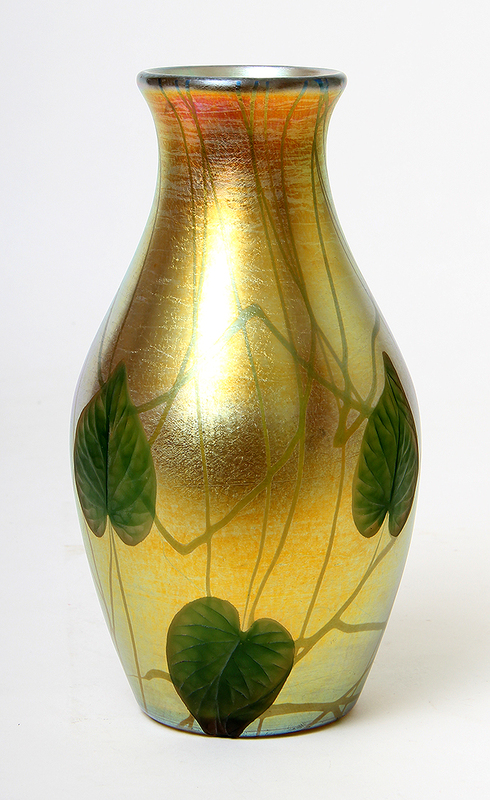 We’ll end with the wonderful Grove Park Inn Arts & Crafts Conference, February 21 – 23, 2014. We last exhibited there a few years ago and couldn’t exhibit again because of scheduling conflicts. This year there were no conflicts, so we’re happy to return. It will immediately follow the important Palm Beach Antiques Show. 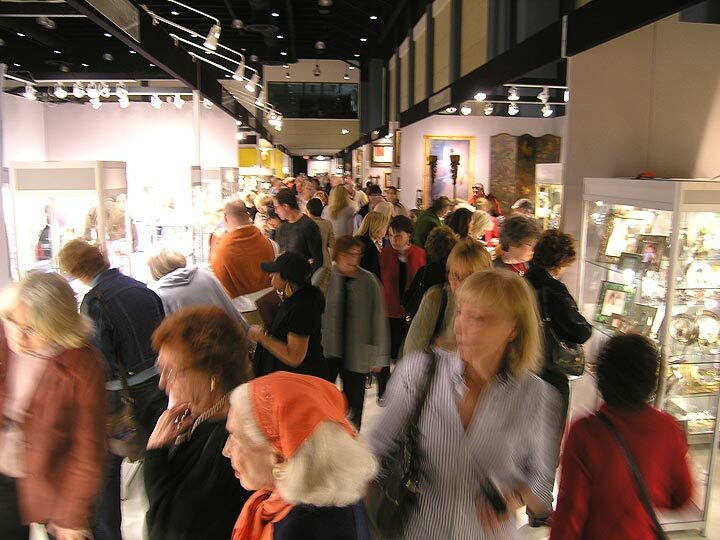 The aisles were jammed at the Palm Beach Jewelry, Art & Antiques Show. Let’s hope we can see the same crowds in Chicago. The Chicago Merchandise Mart has decided to cancel their 16-year-old spring antiques show, at least for 2014, and likely for good. The news is so new that the 2014 dates are still listed on their website as of this writing, merchandisemartantiques.com. What a shame! This was one of my favorite shows of the year — elegant, personal, easy, productive. So what happened? In one word, competition. 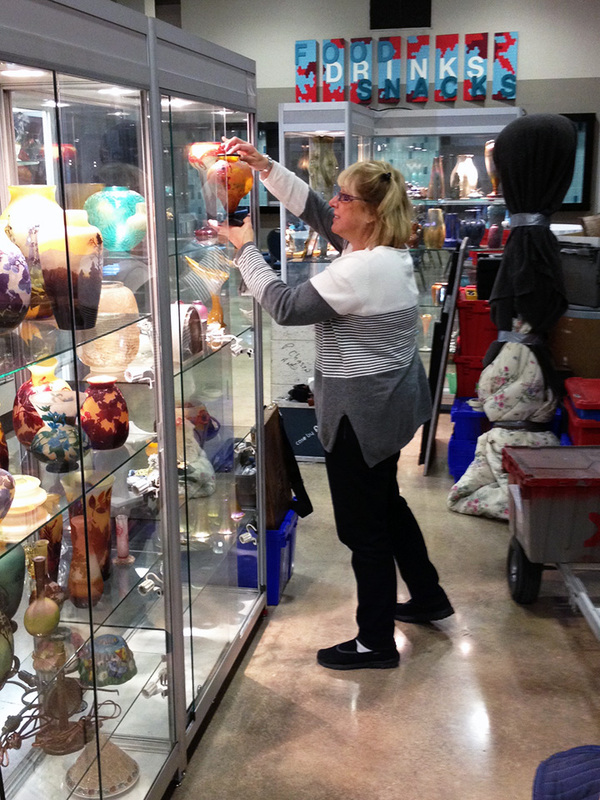 The Palm Beach Show Group decided to hold a major antiques show in Chicago the same week as the Merchandise Mart. There aren’t enough good show dealers to fill both shows the same week, so something had to give. I couldn’t understand why the Palm Beach Show Group decided to hold their show the same week. I sent emails, I asked questions, but basically got the runaround. It wasn’t until the Merchandise Mart canceled their show that I probably got closer to the truth. Apparently the Palm Beach Show Group tried to buy the Merchandise Mart Antiques Show, but was unable, for whatever reason(s). It looks like they intentionally chose the same week to drive the Merchandise Mart out, and they succeeded. Too bad, because I think the Merchandise Mart would have been better off with the Palm Beach Show Group in charge. It would have been the best of both worlds — the Merchandise Mart is a great location and the Palm Beach Show Group are great promoters. Additionally the Mart may have soured on all art and antiques fairs. In early 2012 they shut down their annual modern art fair. 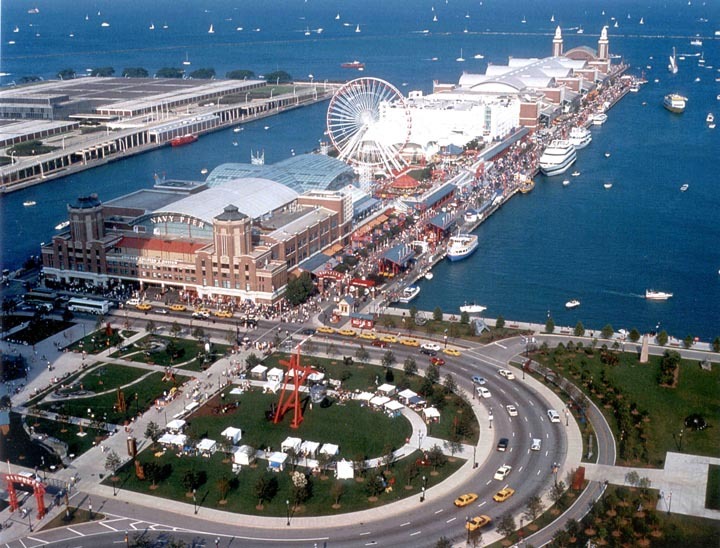 Now that the winner of the duel has been decided, we wish the Palm Beach Show Group success with their new Chicago International Art, Antique & Jewelry Show at the Navy Pier, April 24-28, 2014. I’ve signed up, chosen a booth and listed the show on my website calendar. I’ve heard complaints about the facility — it’s hard to park, etc., etc. But now there’s only one good game in town, so buyers will somehow find their way. If history is any indication, attendance will surely pick up because of good promotion. We have to hope that there will be real buyers in the large crowds, which will make the dealers happy and the show succeed. 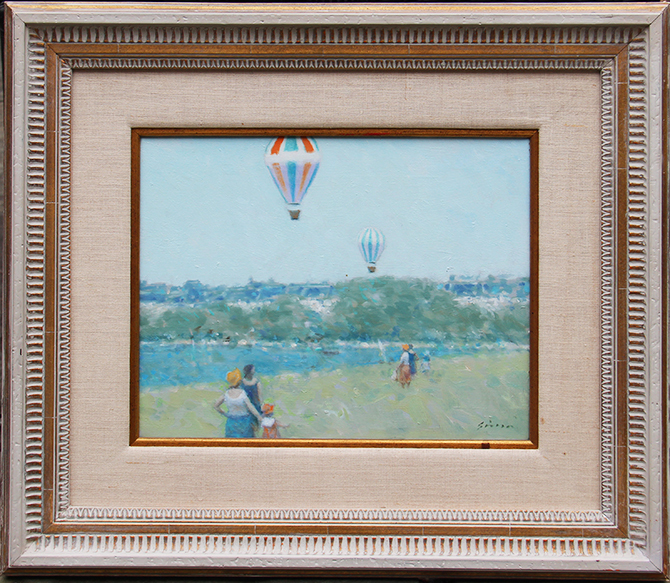 We’ve been buying for the last several weeks, and will continue to buy more, in anticipation of our four shows down south, starting with the Miami National Antiques Show on January 24, 2014 and ending with the wonderful Grove Park Inn Arts & Crafts Conference, February 21 – 23, 2014. We last exhibited there a few years ago and couldn’t exhibit again because of scheduling conflicts. This year there were no conflicts, so we’re happy to return. It will immediately follow the important Palm Beach Antiques Show.